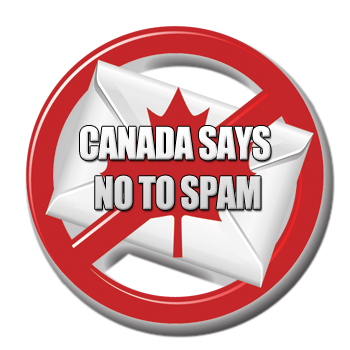 Do Canada’s Antispam Rules Go Far Enough? It has been two years since the federal government passed a bill protecting Canadians from the abundance of spam and unsolicited emails that clog up our inboxes each and every day. However, this law has yet to be enforced. Now it appears that the federal government is backing down from this tough antispam law after an outcry from business, according to prominent Internet law expert, Michael Geist. Geist said in an interview we read that Industry Canada has been facing pressure from business groups to water down the legislation. The government has opened up some new major exceptions that didn’t exist in the law before. The latest draft includes exemptions for when businesses can send commercial messages, a broader definition of what constitutes a “personal relationship” and third-party referrals. The draft also includes a provision that gives companies a three-year period to conform to the new regulations when it comes to agreements with existing customers. This means companies will have until 2017 to comply if the law is put into effect this year. According to the article we read from Montreal, Canada is consistently ranked among the top sources of spam emails globally. Spam costs Canadian businesses over $3 billion in lost productivity and dollars invested to protect email systems, according to then Industry Canada minister, Tony Clement. If passed this year, companies could face stiff penalties for sending unwanted and unsolicited electronic communications. Canadian business needs to pay attention. What do you think? Does this act go far enough to protect your inbox from spam or do you think spam will always be a challenge for business in Canada? Let us know, drop us an email or give us a call, we would love to hear from you on this topic.